With the arrival of rains in Delhi, most of you would have your monsoon holiday plans underway. Would it be the same known places as last year or are you looking out for something rather offbeat? 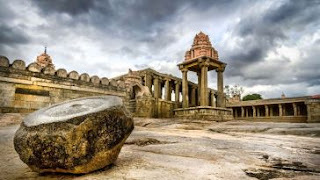 We’ve for you a list of some known and lesser known places to visit near Delhi in the monsoon to choose your holiday from. Munsiyari is a hill resort amidst the Himalayan Kumaon ranges. 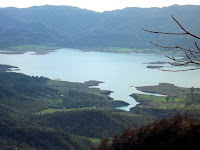 It is a preferred place near Delhi by tourists and adventure enthusiasts to undertake trekking and hikes on the peaks of Nandakot, Rambha, Shiplakot. The temperature drops considerably in the monsoons, but many enthusiasts make treks trips during this time. 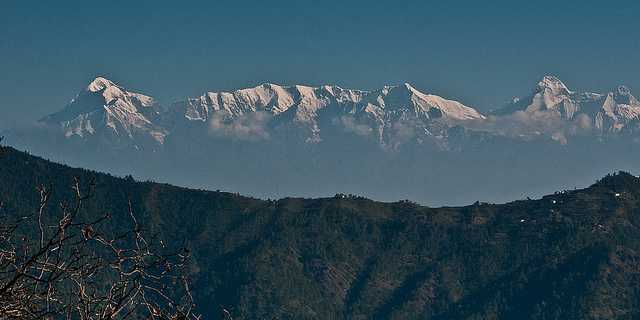 It is also a good place for sightseeing or to unwind watching the Himalayan range. Nangal Lake now known as Nangal Wetland formed due to Bhakra Dam built on the Sutlej River is home to about 40,000 migratory birds. Surrounded by the river and beautiful hills, Nangal Wetlands is a quaint little habitation nestled between the hills. During monsoon, the lake fills to brim and the river flows with renewed force along with the dew dropped vegetation, makes for quite a sight. 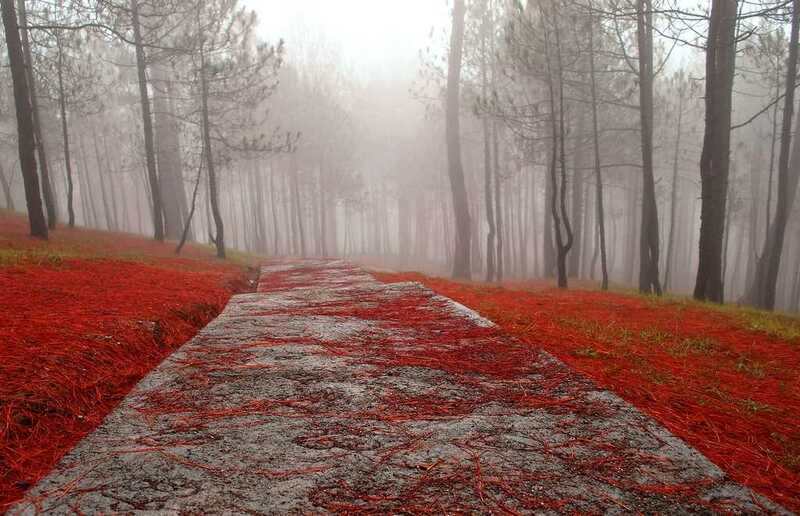 Overall, one of the most offbeat romantic places near Delhi in monsoons for a weekend. 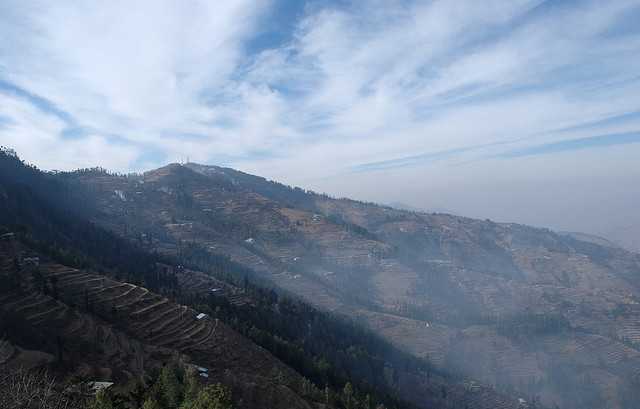 weekend getaways from delhi within 300 km from Shimla, Fagu is a hill resort surrounded by lush green fields and the snow-covered Himalayas in the Backdrop. July- September being the monsoon season here, the forests are at their greenest best with the valleys lined with apple orchards and fields blooming with flowers. 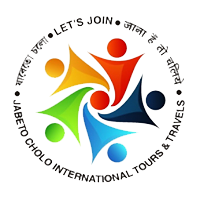 It provides an excellent place for trekkers and nature lovers with small cliffs all around. Banthia Devta Temple is known for its intricate wooden carvings made by the locals. The known vast landscape of deserts takes on a different hue in the monsoon with little lakes forming like oasis and spurts of green all around. 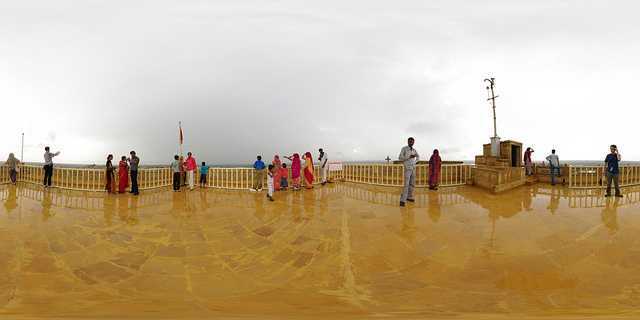 The rain-washed palaces of Jaisalmer look even more inviting and the view from their terrace is breath-taking. As you drive through the vast expanse don’t be surprised to see a cloud pouring rain in the middle of nowhere and if you’re lucky you just might run into the Great Indian Buster – an endangered species seen in Rajasthan. Of salt lakes and sand dunes, Phalodi is the whole of Rajasthan packed into this small district. A string of tribal villages and the last ones connecting to the evergreen Indira Gandhi Canal, Phalodi is a beautiful all around the year. However, in monsoons, the rain induced greenery between the salt lakes and sand dunes makes Phalodi look like a painter’s palette of greens and golden browns. 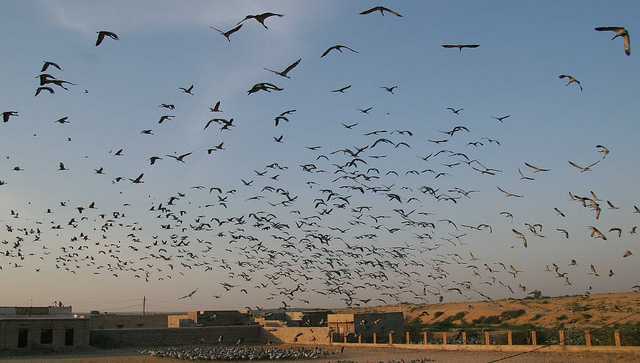 It is also known for being home to the migratory bird ‘Kurja’. Add to that ancient havelis and temples that completes the picture with a rustic look. 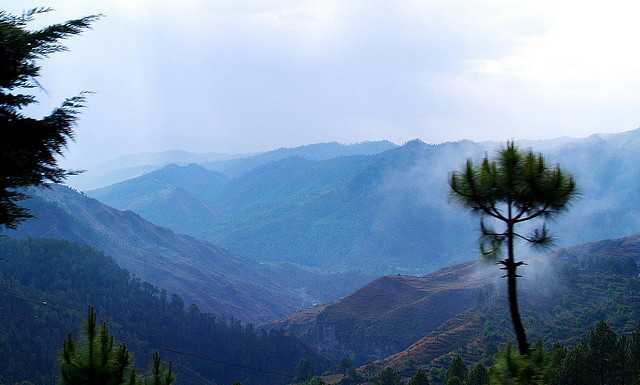 A hill station in Uttaranchal, Almora is one of the towns situated in the Kumaon region of the Himalayas. Pleasantly green, this hill station receives moderate rainfalls making it one of the monsoon getaways near Delhi. 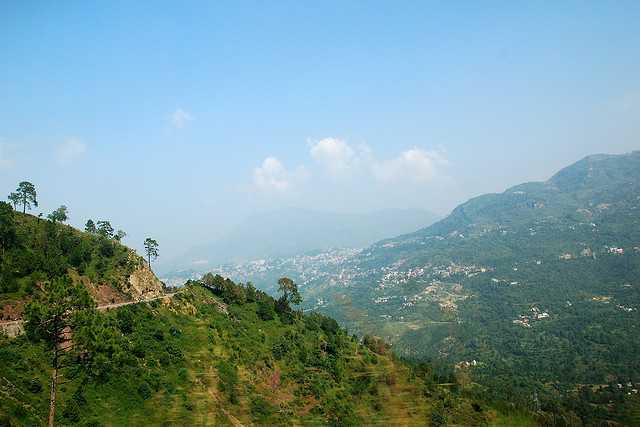 Apart from the bountiful nature and the Himalayas in the backdrop, Almora is also known as a temple town of which Binsar and Shiva temples are quite well known places to go in august near delhi. The pines look all the more beautiful after rains. 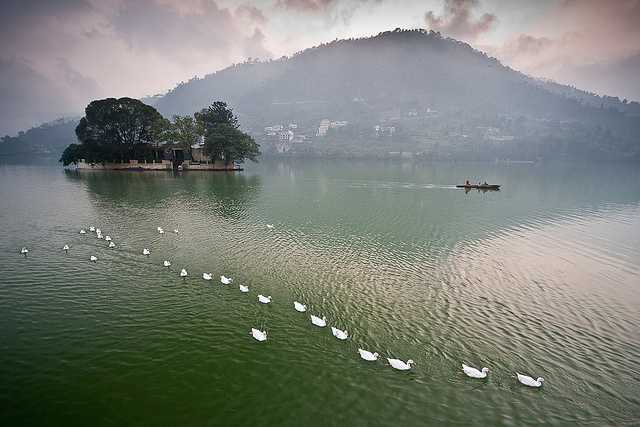 Unlike its couterparts, Nainital and Mussoorie, Bhimtal is a quiet, serene place only a few hours from Delhi. The Bhimtal Lake is its major attraction which has an island and a restaurant on top of it. It is one of the parts of Uttarakhand that doesn’t see much rain and the overall climate is pleasant for a long drive along the hills. You can also visit Kumaon Lok Sangrahalaya – a folk art and cultural museum or go for short hikes in the forests. More than this, Bhimtal is a nice place to unwind and enjoy the places to visit in delhi in rainy season. Kasauli is pleasant all around the year with the temperature never much increasing from 28 degrees. It receives interrupted rainfall which makes the place look glistening with dewdrops but not enough to make you stay indoors. A hill station with minimal alteration provides for a quiet vacation in the relatively unexplored beauty of Kasauli the monsoon holiday destinations near delhi . Nestled in the Himalayan Shivalik ranges of Kumaon in Uttaranchal, this small village offers a large expanse of thick vegetation sprawling with majorly the mighty oak and pine trees. Providing an uninterrupted view of the snow clad Himalayan range monsoon getaways near delhi. What’s more? 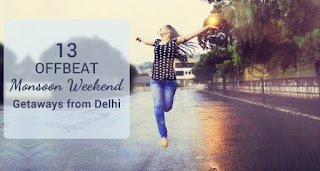 weekend getaways near gurgaon Throw in the gentle pitter-patter of the rains. 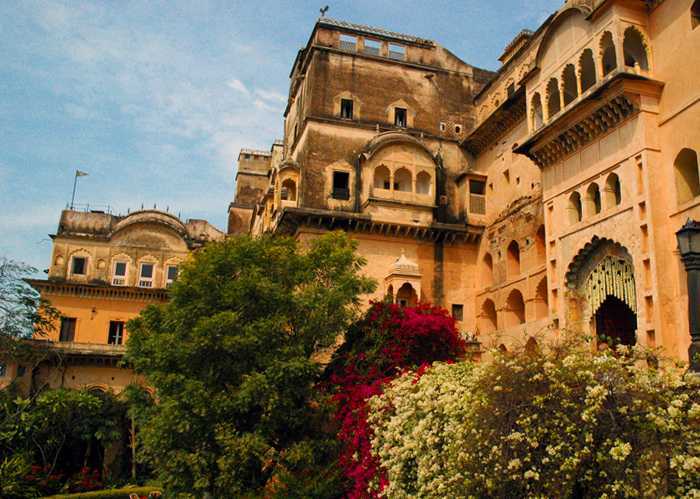 An absolute delight near Delhi in the monsoon for couples, Neemrana is an ancient town of Rajasthan filled with century’s old forts, lakes, sanctuaries and hot springs. The Neemrana Fort Palace is one of the oldest heritage palaces in the country and is the most preferred place to stay for more tourists. There are also many adventure activities like Flying Fox being set up around the palace.